It’s been good. Thank you and good night. It was once the most sought-after gadget in the world but now the very first iPhone is to become officially obsolete next month. 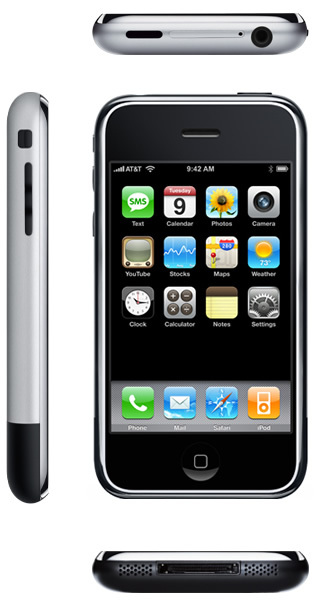 Apple’s first iPhone launched six years ago and was discontinued a year later in 2008 when the iPhone 3G was released. According to a document which is doing the rounds online, on June 11, 2013, the first generation iPhone will be officially regarded as “vintage and obsolete”. It looks as though Apple is set to classify the model as “vintage” in the States while it will be “obsolete” throughout the rest of the world. Apple products are labelled as vintage between five and seven years after being discontinued in America and as obsolete after seven. It was reported years ago, that the company sold 6.1 million first generation iPhone units in the year before the iPhone 3G was unleashed. What does the future hold for the SMS text message? Waiting to get your mits on the Galaxy S4? Well, be prepared – buy a top quality case, today!